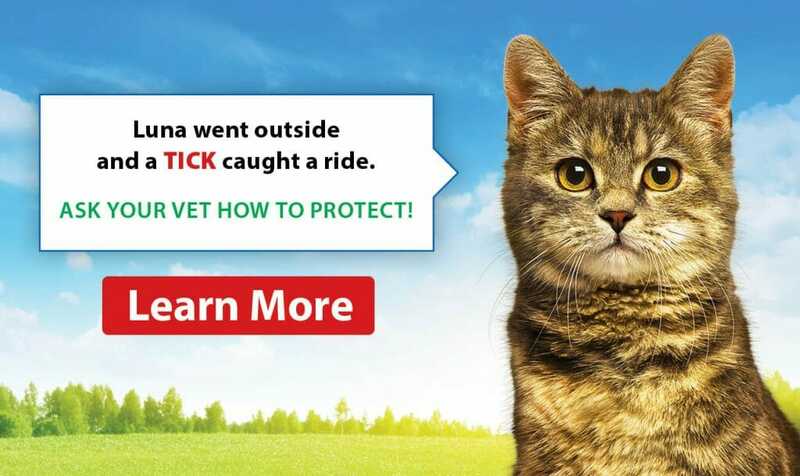 Flea and tick control is critical for cats. Keeping your cats treated with a veterinarian recommended treatment is the best way to prevent infections in your cat and household. It is important to ask your veterinarian which product to use as many products available in stores are actually toxic to cats and can be harmful or fatal. Fleas are small and black/brown in colour. If you are concerned that your cat may have fleas, you can use a fine comb to brush against the fur into a tissue or paper towel. If you find debris, wet the tissue slightly and if the debris changes to a reddish brown colour, it may be flea dirt. Flea dirt is a sign of actively feeding fleas. Many cats can develop flea allergy dermatitis, which can cause hair loss and itchiness. In extreme infestations, the sheer magnitude of active fleas can cause anemia. Fleas are known to cause tapeworms. When your cat grooms itself, it can ingest fleas, which will then infect the cat with tapeworms. Tapeworms are a parasite that can be passed to humans, especially young children or immune-compromised people. 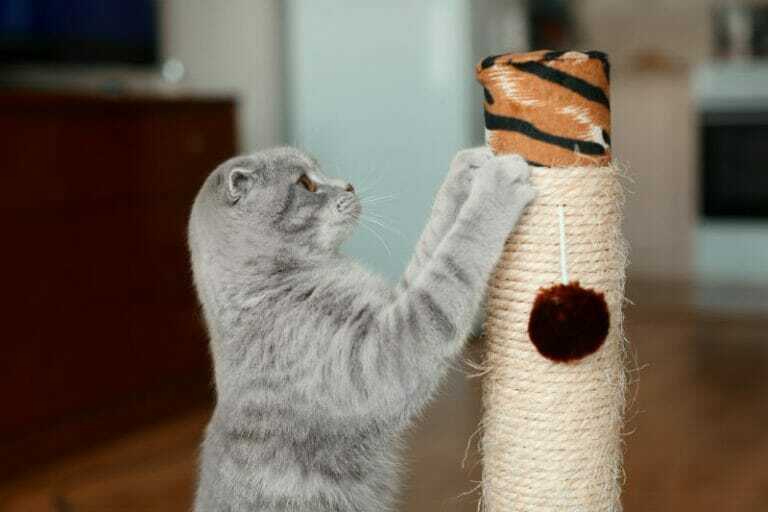 The products we have on hand are very safe to use in senior cats. A simple tube filled with a topical medication placed at the back of the neck will keep your cat stay flea-free. Be sure to get our veterinarian’s opinion on what product is best for your cat as some over the counter (non-veterinary) products can be harmful or even fatal to cats.